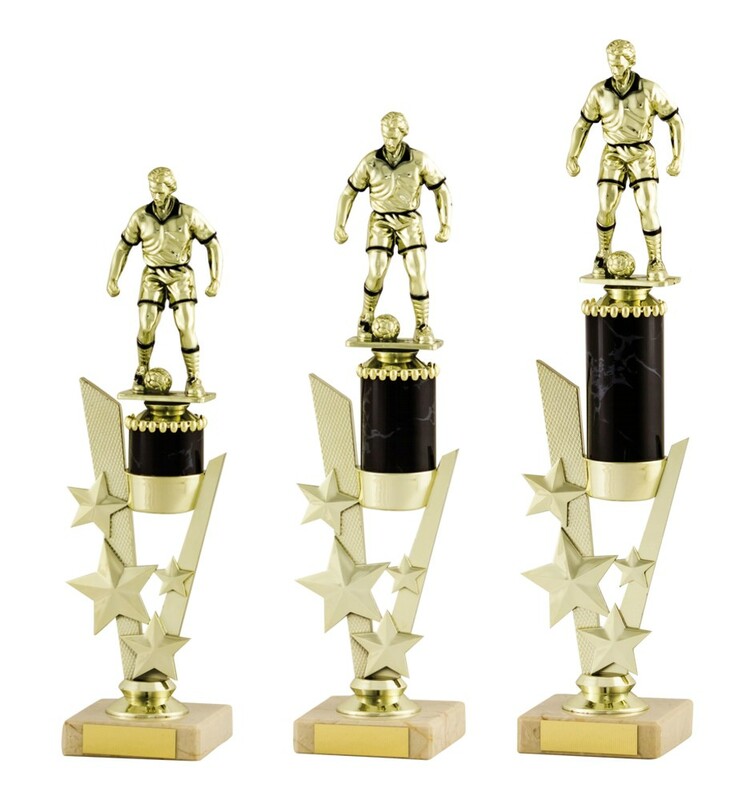 Gold/Black Football Figure Column Awards. Gold and black plastic football figure on black tubing, a gold plastic star riser and mounted onto a cream marble base. Available in 3 sizes, 320mm, 340mm and 370mm high.